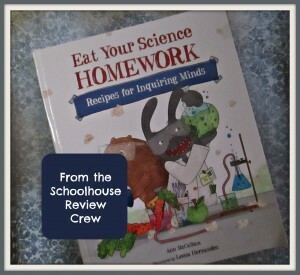 My family recently received Ann McCallum Books' spectacular Eat Your Science Homework cookbook to use and review in our homeschool. What a delightful experience that has been! A kids' cookbook to teach science? With Leeza Hernandez' entertaining and colorful illustrations of animals cooking and Ann McCallum's clear and simple lessons and fun recipes (not to mention the delicious food they produce), Eat Your Science Homework will give families hours of great times in the kitchen, as they learn scientific principles in ways that they'll remember for a long time. 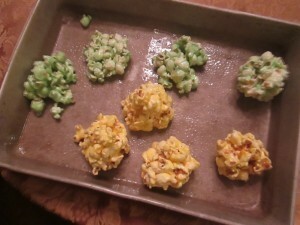 Each recipe is designed to teach a specific science lesson. 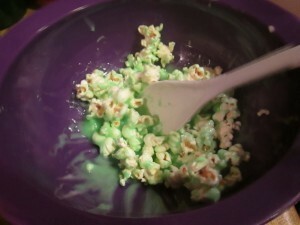 So, while they're making the Atomic Popcorn Balls, for example, they'll be learning about atoms and molecules and the way atoms combine to make them. Or, while they create a delicious lasagna for dinner, they'll be seeing a clear visual example of sedimentary rock, and how it forms. And, if you'd like a little extra help in teaching the concepts included in Eat Your Science Homework, Ann McCallum has provided it for you! You may download an Educator's Guide from the Eat Your Science Homework web page that will help you with this. (Just click on the Downloadables tab on that page.) This wonderful guide has everything from Science Bingo, to more experiments, to worksheet pages, to vocabulary sheets for the homeschooling parent (or schoolteacher!) to use. This is what we thought! Our family has been Ann McCallum fans for awhile. And Eat Your Science Homework definitely encouraged us in that fandom! This book clearly teaches science, but adds the fantastic component of cooking to what kids are learning from the book. The cooking provides one type of experiments, while the Educator's Guide gives parents some extra ones to reinforce the lessons. It's a great combination---and our family loved every minute of the cooking and reading from this book! You'd probably love to know where you can find this book, wouldn't you? Easy peasy. Just visit Ann McCallum's website, Eat Your Science Homework , where you can purchase this awesome resource for $16.95.